HP will be providing a vital element in the new one-day Streamlined Digital Workflow and Inkjet Printing workshops beginning next month, and the special four-day Advanced Digital Imaging Workflow workshops which will be limited to only two sessions next year. Our newest one-day workshops on digital printing and workflow are aimed specifically at those of you who are interested in creating the highest quality ink jet prints. To compliment the printing and workflow workshops, we have created a 4-day printing and workflow series for those of you who want to go to the next level. We are only running two of these in 2008. Titled Advanced Digital Imaging Workflow, each will feature a full printing lab setup with networked HP B9180 printers, tons of printing supplies, color calibration tools and lots of other high-end digital technology. Beyond just printing, we'll also have full Photoshop For Photographers instruction, Capture NX classes, Digital Asset Management course, Black and White printing classes and much more. This is truly an Advanced class and is meant for those of you who are serious about your photography. The two locations selected for the these advanced level workshops are San Francisco, starting April 10, 2008, and Dallas, starting June 12, 2008. 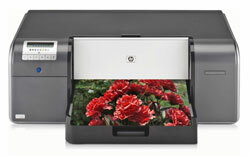 An added benefit for both the one day and four-day workshops co-sponsored by Hewlett-Packard USA is each student gets a $100 rebate coupon for the online purchase of an HP B9180 13"x19" Pro Photo Inkjet Printer. Our first workshops of 2008 begin right away in January for those of you in Vancouver BC, San Francisco, Houston and Los Angeles. Sign up quickly before the seats are sold out! From the Nikonians Academy staff: Have a Merry Christmas and keep shooting!